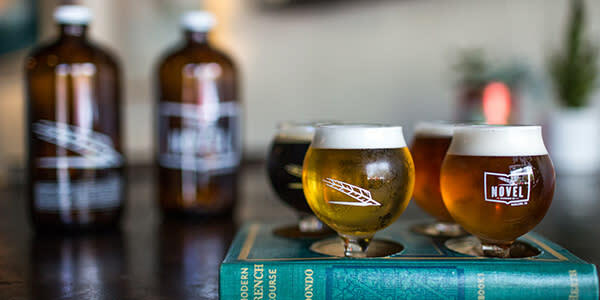 Oakland’s brewers are rooted in the spirit of the city’s earliest manufacturers, but this new breed of makers is developing flavor and style combinations that are making them stand out in the increasingly crowded world of American craft beer. Grab your passport and go! 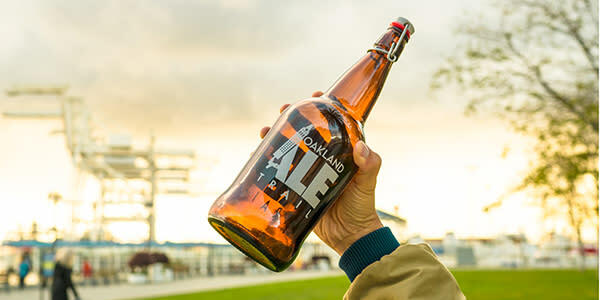 Visit all of Oakland&apos;s brewery taprooms and earn a free Oakland Ale Trail branded growler! We wanted to give you a few day itineraries to help expedite your growler redemption process! The most distinct aspect of Diving Dog is that they combine their craft beer bar with a "brew your own beer" option for beer enthusiasts. Just do it... Their food is just delicious. Bocce ball, well drinks, and a diverse vibe to get you ready for the show. You can usually count on a show of some sort in Uptown on any given night. Whether it&apos;s a concert, comedy show, or art exhibition. Check out these two venues for calendar listings. They brew small batches of fresh, exciting, and experimental beers, often in collaboration with other local artisan producers. Adventurous beers for curious drinkers. Hit this place up after a concert at The Fox Theater or The New Parish. Neighboring multiple bars like Bar Dogwood, Cafe Van Kleef, Somar, Make Westing. Indoor-outdoor beer gardens with fire pits and live bands in the heart of Uptown Oakland. They work hard to reinvigorate "lost" beer styles and reintroduce them to beer lovers. They are urban and attempt to maintain a sense of being in and part of the city. They work to give local artists and musicians venues to showcase their work and play music they might not otherwise have. 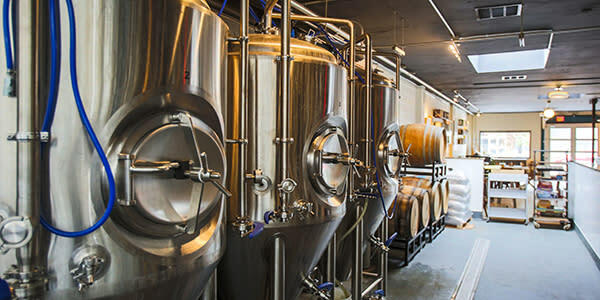 Independent Brewing is off the beaten path and has a real chill, intimate setting. They are intricately intertwined into its Oakland neighborhood, with an intimate setting. 1st thing to mention is their giant mural inside the brewery of a keg transformer. Close by to Souley Vegan and Blue Bottle Coffee to fix your every want. This art gallery/barber shop/apparel store is a great spot to get a feel for Oakland&apos;s art scene. There are so many food options, it&apos;ll make your head spin. A great spot for the indecisive visitor. Their bottle list features a rotating stock of approximately 100 Belgian, Dutch, Scandinavian and American craft brews. They have 28 rotating taps which feature Belgian, local (California), and several specialty microbrews from the US. You won&apos;t find any big corporate brews here, just the finest artisan beers. They only brewery in California the only uses locally source and refine bio-diesel fuel for use in the brewery. Ale Industries doesn&apos;t believe in beer styles. "Too many people are missing incredible tasting experiences because they have been brainwashed to think all IPA&apos;s should taste the same. We rarely refer to our beers as styles. You won&apos;t find any mention of them on the menus in our brewery and taproom." Gotta love the huge outdoor beer garden. Modern design to tasting room. "We&apos;re avoiding west coast norms of big, aggressive, hoppy brews instead offering softer, friendlier beers. And that same approach makes its way into our bright, soft, colorful design, and a friendly, welcoming, diverse company culture and taproom vibe." Serves beer flights in a book. They have a legit printing press inside the brewery... and if you are observant enough, you will find recycled printing press materials all around the brewery. 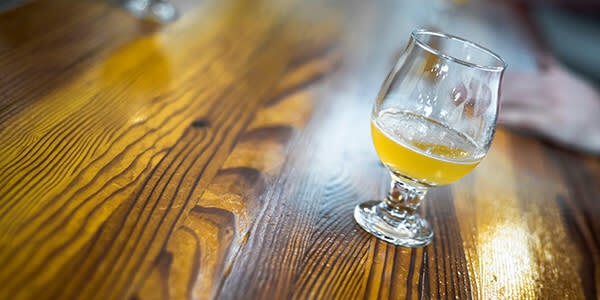 "Some have said that they can taste how our travels have influenced our brewing choices, and these subtle differences allow our beer to stand out amongst the crowd. In the end it is the people and the beer that combine to make a tantalizing story that keeps on giving. Whatever the opposite of a cliff hanger is--that&apos;s us. Imagine your favorite book, but it never ends." Large but intimate beer garden that&apos;s always filled with people. Outdoor fire pits, string lights, and heat lamps everywhere. If you are an extrovert and enjoy socializing and surrounding yourself in that environment, this is the brewery for you. It&apos;s also great for large groups, celebrations, dogs and kids.